One of the most reliable occurrences in the life of PO Box 4, Enmore NSW 2042 is the fortnightly arrival of the previous two weeks’ issues of YOU zine. YOU arrives so regularly, so punctually, that it’s almost tempting to take it for granted, to call it predictable, even. The regularity with which it arrives in the post is matched by the regularity of its aesthetic: brown paper bags and white office copy paper. Or sometimes white paper bags and brown recycled copy paper. The word ‘you’ stamped on the cover in red or black. Sometimes in purple, green, or blue, but always a generic ink-pad colour. The paper bag (sometimes it’s an envelope, postcard or a standard A5 zine) is decorated using some sort of print making technique: rubber stamps, rubbings, Lino cuts. Or with an image torn from a magazine, newspaper, or some such place. Or with coloured gaffa tape. Each individual copy in an issue of YOU is a slight variation on the same thing. Each issue of YOU a slight variation on all the other issues of YOU. Inside the paper bag, more repetition: a photocopied letter, folded, stapled inside. The familiar handwriting, the familiar way that it’s signed off. Sometimes it’s someone else’s handwriting, but there have been so many guest writers that that’s to be expected, too. The writing itself: a story from a day in the life of Luke You, an ordinary life of intense interests, an interesting life. An interested life. The envelopes that YOU arrives in each fortnight: again, repetition. The same envelope, an Australia Post A4 tough bag. The same format for the address, written with the same black texta. Or sometimes it’s written in pen. The same words – ‘Artwork, Do Not Bend’ and ‘Documents Only’ – rubber stamped on the outside. $1.80 worth of postage stamps in the top right hand corner. The same note thanking Take Care for stocking YOU: a photocopy of the note that was sent with the very first issues of YOU that we stocked. Repetition, repetition, repetition. And then some. When we started Take Care – we opened on the 1st of January, 2010 – YOU was one of the first zines we stocked. It’s a pretty legendary zine: there is a YOU book, there have been YOU writing marathons, a couple of years ago YOU made it into Microcosm’s zine annual as one of the best zines of the year. I have a YOU t-shirt (it makes a cameo appearance in my latest zine, ‘Trabajar en una Tienda’, see if you can spot it). I’m not exactly sure why I am writing this post, just that today I picked up last fortnight’s issues of YOU from the post office and I read them in the car while my dad gave me a lift home. I’d just finished reading ‘Red or Dead’, David Peace’s novel about Bill Shankly’s management of Liverpool Football Club. It’s a novel about obsession – a football obsession, in this case – and the use of relentless repetition, relentless practice, persistence and passion, and relentlessness itself, as a way to achieve invincibility, immortality, greatness. And it occurred to me that that is what YOU is: it is the circa 1970s Liverpool Football Club of zines, and Luke You is the Bill Shankly of zinesters. I don’t know very much about football really, but I liked the book a lot, so I feel confident in drawing this comparison. So anyway, the real point of all of this is to say: we stock YOU. We have many issues of it in stock. It’s free. Well, we have to charge 1c for it, because of the way paypal works. If you add it to your cart when ordering other zines, we’ll fit in as many issues as the total you’ve paid for postage will allow. If, however, you would like some issues of YOU on their own to arrive in your letter box, send us $3 to our paypal address (for postage) and we’ll send you a full A4 envelope’s worth. Just be sure to put your address and a request for copies of YOU zine in the ‘note to merchant’ field In paypal. And coming soon: the latest issue of another great zine, ‘Disposable Camera’, is a split with… YOU! It’s about the Housemartins and Hull and it’s brilliant, but unfortunately we can’t put it on the catalogue until Tim gets back from holidays, with his computer that can upload scans. Until then, writhe in anticipation (or order a copy from Sticky). Take Care is based in Sydney, Australia, and opened on 1 January 2010. 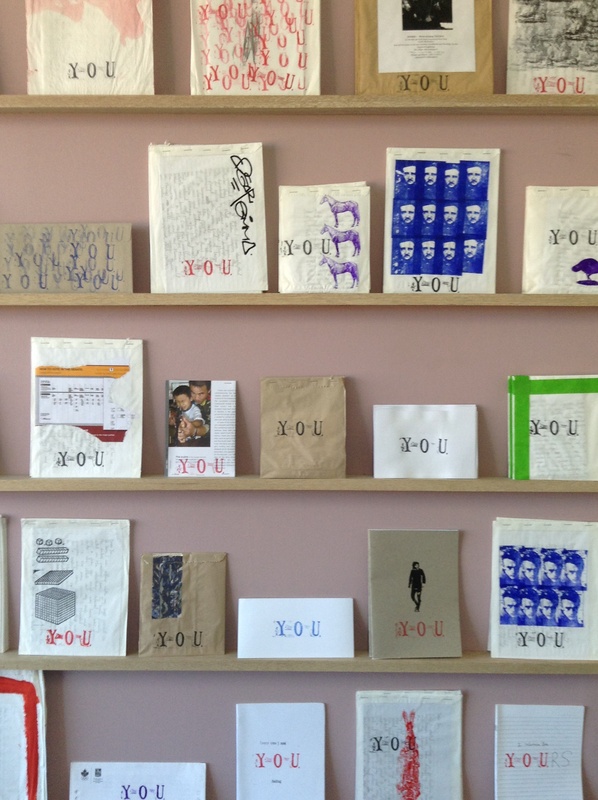 We stock a range of zines – some that we make, some that are made by friends, and some that we just really like. We table at zine fairs along the east coast of Australia, and have a limited number of zines for sale in our online shop. We help organise the Other Worlds Zine Fair annually in Sydney. We do not currently accept unsolicited zines for distro. Take Care Zine Distro Blog at WordPress.com.